I switched to a trackball earlier this year because my wrist was getting tired after a few hours of using Microsoft’s Sculpt Ergonomic Mouse. 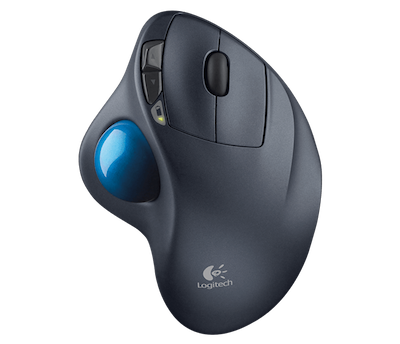 After some search, it seemed that my only good option for a trackball was the predecessor to this trackball, the Logitech M570. 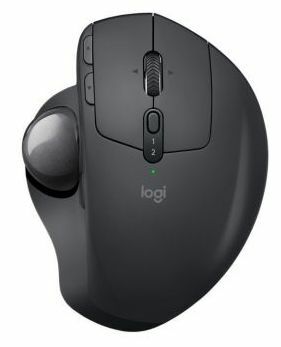 I was a little disappointed in the build quality and the scroll wheel of the M570, so I was happy when Logitech announced the MX ERGO and pre-ordered it. I used the M570 since July until the start of October when the MX ERGO arrived. Even though the MX ERGO cost almost twice what the M570 is going for, I am glad to see that the build quality is way better. The angle on this trackball also feels much more comfortable than the M570, which laid a lot flatter. I have now gotten used to the steeper angle on this and M570 now feels odd and a little “off.” Given how much time I spend using the trackball, I can easily justify the cost for myself. I was looking forward to the inclusion of Bluetooth, but I was also a little concerned that it might not work as seamlessly as the proprietary Logitech adapter. After using it for a few weeks now, I am glad to report that it works just as well as the Logitech adapter and that now I don’t have to worry about connecting/disconnecting yet another USB device. With Logitech’s new “Logitech Options” software for macOS, I have noticed that the forward/back buttons seem more reliable than the M570 buttons and that they now seem to work with more applications than their previous software/drivers. I have noticed that their Logitech Options Daemon software keeps using 1-2% CPU majority of the time. I am contemplating trying to use this mouse without the Logitech software, but I haven’t done it yet. An additional benefit with Logitech’s new Options software is that I no longer have to run an additional application (called Scroll Reverser) to reverse the scroll direction. Their Options software has an “option” to reverse the scroll direction. One thing that I am curious to see pan out over the next few months is the battery life. I did not use the M570 long enough, but I have heard that it easily lasts longer than a year. Logitech advertises the MX ERGO’s battery to last four months. My trackball shows about 2/3 battery still left to go after almost two-and-a-half weeks. Given that it’s sitting on the desk with easy access to plenty of micro-USB charging cables, I guess recharging this won’t be too big of a deal. Overall, I am happy with my purchase and would recommend it.